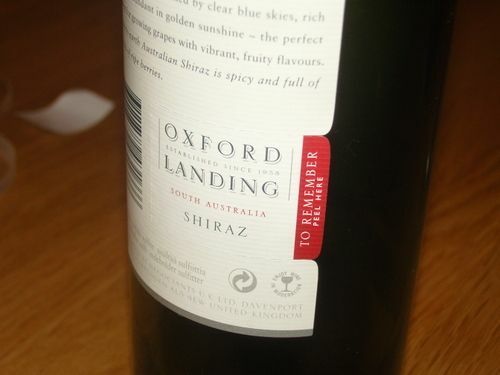 How many times have you enjoyed a bottle of wine and forgot to write down the name or were served it at a friend’s or a restaurant and the bottle got recycled before you had a chance to jot the name down orvadd it to your iPhone or Blackberry notepad for future reference? Last night I was enjoying a bottle of Carla’s Reserve Zinfandel, Contra Costa County – 2007* from Rosenblum Cellars and noticed an innovative idea on the back label; a small tear-off label with the name of the wine, vintage and website. I forgot to take a picture, but in a search for more information I ran across a blog called The Die Line which is all about packaging design and I am borrowing a couple of pictures from there to illustrate the product. I even found a manufacturer of these labels called Collotype Labels if you are interested in implementing this idea. These labels have been available for at least a few years from what I can determine yet the adoption by wineries has been slow. I would think that if I could remember every good bottle of wine I have consumed I would buy at least a second one which in turn would double the sales of the wine. I will have to look into this further for other products as it seems like an effective way to increase repeat and referral business. Could your product or service benefit from having something to tear off with the contact information? Should a Realtor have a perforated business card so the recipient can tear off a copy of the card to give to someone they are referring? 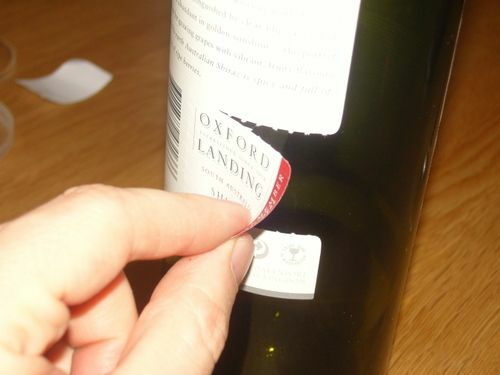 Should your product have a tear-off with re-order information? How about an instant rebate that they tear off and present to the cashier? * Dark in color, the wine exhibits a huge core of black cherry fruit with elements of wild berries, cassis and vanilla bean in the bouquet. On the palate, soft and round tannins support flavors of ripe black cherry and blackberry with hints of spiced plum. If you enjoyed this article and don’t want to miss the next one click here to get my marketing posts by email as soon as they are published. You will be prompted for an email address and you are set to go. Previous Post Ever Wonder What Words People Type Into Google?